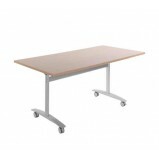 Crank Height Adjustable Office Desk Versatile and simple to operate it allows you to move from sitting to standing work with the turn of a handle. 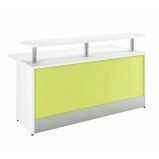 The two-legged, electric height adjustable desks come with a choice of rectangular desktop..
Duo Coloured Reception Desk With Shelf Create an immediate first impression, make a stylish reception desk the first thing your clients see when they visit you. 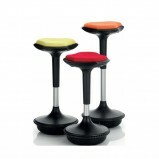 Duo is a range of colourful reception desks FeaturesAdjustable feet25mm ..
Electric height adjustable office desk Versatile and simple to operate it allows you to move from sitting to standing work at the press of a button. 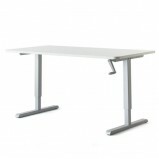 The two-legged, electric height adjustable desks come with a choice of rectangular deskt..
Elev8 Mono electric sit-stand back-to-back desks Elev8 Mono sit-stand desks allow the individual user to electronically adjust the desk height from a sitting to a standing position with the touch of a button. 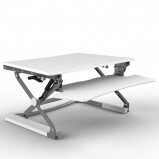 Having the option to stand..
Elev8 Mono electric straight sit-stand desk Elev8 Mono sit-stand desks allow the individual user to electronically adjust the desk height from a sitting to a standing position with the touch of a button. Having the option to stand, as .. 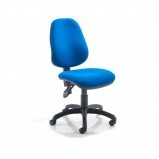 Height Adjustable Desktop Riser With Recent Studies Into Workplace health it has become clear that Sitting for Long Periods is very Damaging to the body. 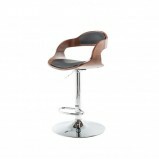 Wherever possible office workers are advised to get up and take movement breaks thr..
Phonic High Back Booth Sofa UnitsThe Phonic High range includes a high back acoustic booth to provide privacy and noise reduction while working , with optional additional extras transforming it from a sofa into a multimedia enabled meeting ..
Adjustable sit/stand units With X-desk’s amazing technology you can convert any desk to a standing desk in seconds with a smooth gas height adjustment via a unique hydraulic systemIt is easy to use and install in just minutes and availab..